and EAST Single Drop Trailers. We can handle a wide variety of products from refrigerated foods, dry goods, and frozen food to steel products and specialized cargo. The rough roads, constant driving, extreme distances and harsh weather take a toll on even the best equipment on the market. To help us meet the challenges that can grind a shipment to a halt, we have our own in house repair shop. Brookfield Truck & Trailer Repair utilizes their highly-trained, certified technicians to perform the on-site preventative maintenance needed to ensure that our equipment leaves our yard in a safe and dependable condition. 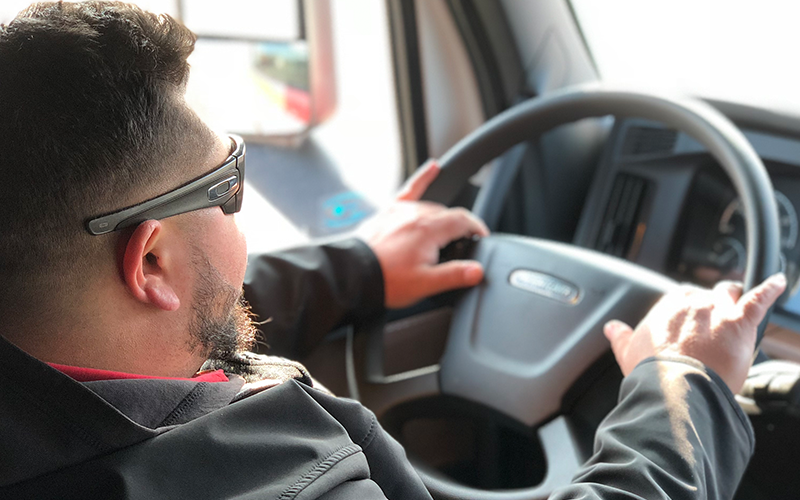 With an average of more than 22 years in the industry, our office staff combines their knowledge and experience with state-of-the-art technology to craft and implement the best possible solutions for our customers’ transportation needs. Their unrivaled ability to deal with the complexities that makes shipping goods in the 21st Century a serious challenge is a big reason why long-standing customers, as well as new ones, call on Nick Strimbu Inc. every day. In today's environment, technology is a core part of a business running smoothly and efficiently. We know that and you do too. That's why we outfit our company with the best technology available. Our entire fleet is equipped with PeopleNet's PCT mobile fleet management and compliance hardware and software. Routing drivers down approved routes based off the loadout of the truck and load they're towing. Included Voice Commands make it so drivers don't need to be distracted to make a change in their route on the fly. This is a huge safety factor because it does not distract the driver while he is trying to navigate. Real-Time Traffic and Weather to limit delivery delays to a minimum. Hauling refrigerated cargo presents a distinct set of requirements and challenges, including being able to prevent a load ever being dropped below an acceptable temperature. The OrbCOMM units loaded in our trailers provide minute-by-minute data customers can use to verify that a load remained at temperature during shipment. The system also issues an instant alert to multiple individuals if temps vary from a customer-specified range. That’s extremely important and can save tens of thousands of dollars because it enables us to deal with the problem before loads thaw or spoil and have to be destroyed. We're thoroughly committed to safety here at Nick Strimbu Inc. so we have installed Accident Event Recorders (AERs) in all our trucks. The Smartdrive Smart Recorder SR4 is a set of two cameras that capture high definition video of the front and interior of a vehicle. The device begins recording when certain events occur including accidents, aggressive driving behavior (hard braking/hard acceleration), speeding, the triggering of the door open alarm, or a manual event. The device then stores the video/event, the vehicle’s GPS coordinates, and the date and time of the incident for later review. The device then stores a local copy into memory and immediately sends the video signal, as well as all telemetrics from the Vehicles ECM, over an LTE network to us for review. This technology enables us to improve drivers habits and drive down accident frequency and security. They protect our drivers by providing conclusive evidence that they are not at fault in 98.7% of the incidents that do occur. They provide feedback that enables our drivers to constantly upgrade and enhance their skills. 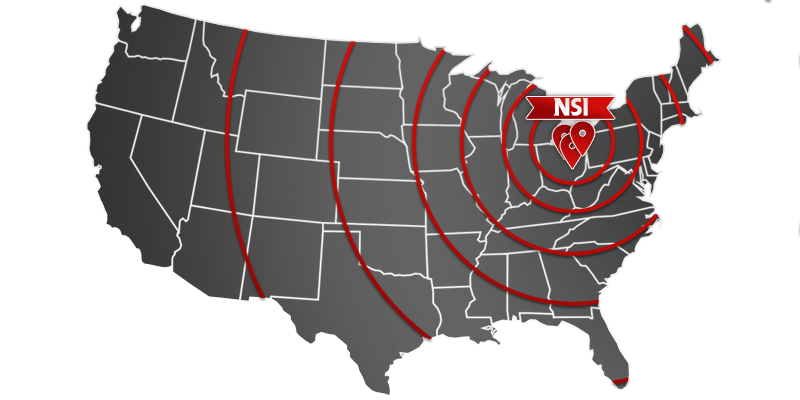 They demonstrate that Nick Strimbu Inc. employs the most highly-qualified, safety-conscious professionals in the industry. We also service the entire South and Eastern part of the country from the Mississippi River to the Atlantic Coast. Nick Strimbu Inc. drivers hold Transportation Worker Identification Credential or TWIC cards that authorize them to enter secure maritime facilities unescorted. Instituted by Congress in the wake of 911 terrorist attacks, TWIC protects the nation’s ports and ships but it can be a real headache for shippers that use companies that do not have TWIC cards. When an uncredentialed driver arrives at a U.S. Sea port they must park their rig and wait for a TWIC holder to take the load in. That can cost time and money. Because we’re totally committed to customer service we obtain credentials for all our drivers and renew them as required. We won’t let red tape get in the way of on time delivery. At Nick Strimbu Inc. we’ve built a world-class company by investing in the best equipment, drivers, support staff, and technology available. Our investment combined with our unwavering commitment to customer service is your insurance policy against unnecessary delays that can devastate your bottom line and your reputation. With so much riding on every load, call the trucking company that delivers outstanding value for every one of your transportation dollars, call Nick Strimbu, Inc.